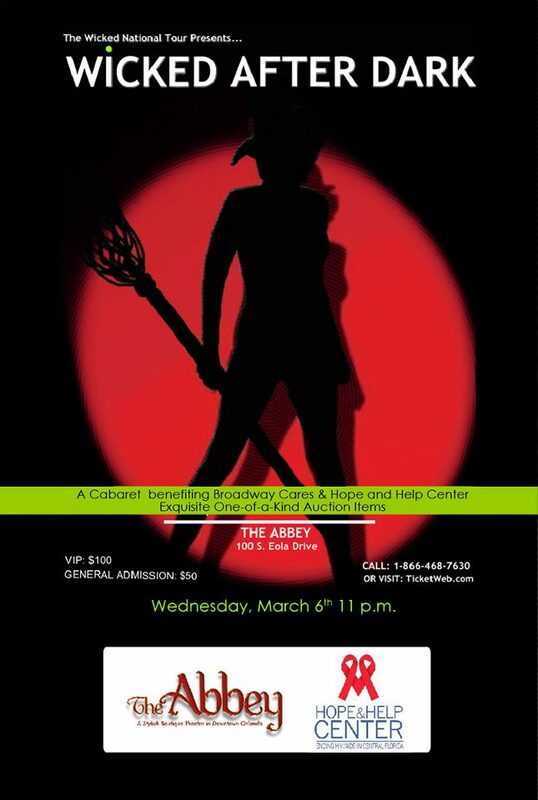 Wicked musical 2nd National Touring company will be presenting WICKED AFTER DARK ie a concert benefitting Broadway Cares and The Hope and Help Center on Wednesday, March 6, 2013, at 11:00 PM at The Abbey in Orlando, Florida (100 South Eola Drive). This entry was posted on Friday, February 22nd, 2013 at 11:28 pm	and is filed under Uncategorized. You can follow any responses to this entry through the RSS 2.0 feed. You can leave a response, or trackback from your own site.